As an international student getting ready to start your studies and settle in at a university in London, you’ll gain the chance to explore exciting avenues, as well as take on some great challenges and opportunities. Before you dive into London life, there’s many things to take into consideration, from accommodation to saving those pennies. So, we’ve put together a few top tips to help international students who are about to live in London. Deciding on your accommodation doesn’t have to be stressful or confusing. 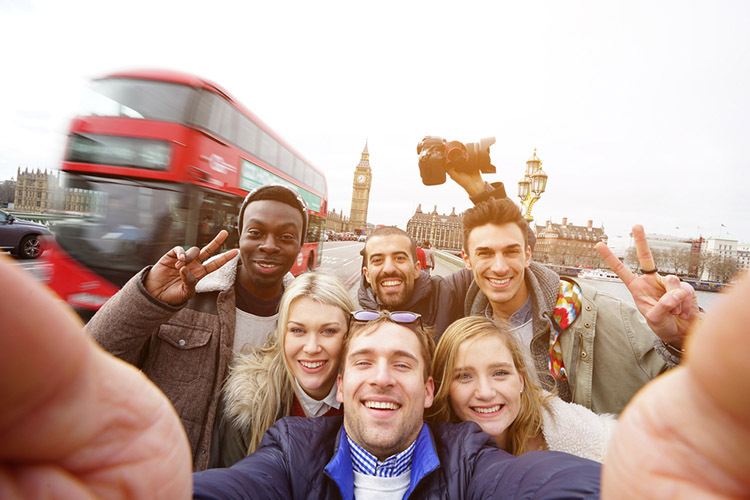 Many universities in London offer handy student guide books that contain details on the various accommodation options available, whether it’s shared housing, self-catered, student halls or other options. It’s important to not rush the decision, so use these guides to help you narrow down your options. Make sure that you choose the accommodation that suits your lifestyle and personality and don’t be pressured into living somewhere you’re not going to be comfortable with. The weather in London isn’t always rainy and miserable, in fact it’s often perfectly pleasant. However, it’s always subject to sudden change, much like everywhere else in the UK, so it’s important to be wary and prepare yourself in advance. Making sure that you have adequate layers of clothing is key. Days in the UK can quickly turn cold, so invest in some thermal layers that are comfortable to wear under your usual clothes. Winter months can get pretty freezing, so stocking up with a good winter coat, along with gloves, hats and scarves is a must. For rainy days, plan ahead by getting a small packable umbrella that you can easily carry around campus. Get a quality waterproof jacket with a hood for those heavy downpours. Your accommodation will have central heating, but air conditioning is less likely. This can be an issue on hotter days, so take advantage of some of the city’s great open water locations and lidos for when you need to cool off. Setting up a bank account is a must, especially if you want to avoid those foreign currency charges and complex billing systems, which you’d have to deal with when using a non-UK bank account to pay for things. It can be a lengthy process to set up a bank account, but it’s worth it. Save time by checking that you can open one before leaving your home country, and check whether your existing bank has any links to UK banks. The majority of UK banks will require a valid passport, your proof of address in the UK (a tenancy agreement or utility bill) and your proof of student status. An acceptance letter from your university should suffice. Opening a student account is advised, as not only do they offer numerous benefits, they often come with a joining bonus. An interest free student overdraft is sometimes included, but check whether the bank you’re considering offers this to international students. When you get to campus and start studying, you may find the overall cost of books and stationary soon starts to add up. The university library can of course be a great option for getting the materials you need. But due to the high demand even the most stocked libraries won’t necessarily have what you need, when you need it. Make sure you check over all the course material you need ahead of time, the university will normally provide you with a list way before you start. Remember there’s a huge emphasis on your own learning, as well as researching and writing essays at university, so it’s important you plan ahead to get what you need. Consider getting the required books from secondhand bookshops, either on the high street or online, there’s always a bargain to be found. Then practice your researching techniques, in terms of how you present your arguments, and how you support your arguments with research. This will help you more effectively make the transition to this type of academia. This list is in no particular order and we’ve actually saved the most important point until last, especially if you’re an international student coming from outside of the EU. If this is the case, you may need to apply for a visa. Any students arriving from outside of the EU, EEA and Switzerland will probably need a Tier 4 Student Visa in order to study in the UK. The documentation for this is relatively straightforward and you will always be able to ask the student services at your chosen university for help. If you’re coming from an EU country you won’t need to have a visa to study in the UK. However, things may change following the aftermath of Brexit and you too may be required to apply. You’ll be able to apply for the visa three months before your course starts, but make sure to do it as soon as possible, as the process can take a few weeks. If you’re an international student looking to study in the UK, you can speak to us at IEC Abroad. Contact our study abroad specialists today – we can help you find the right university and course for you.